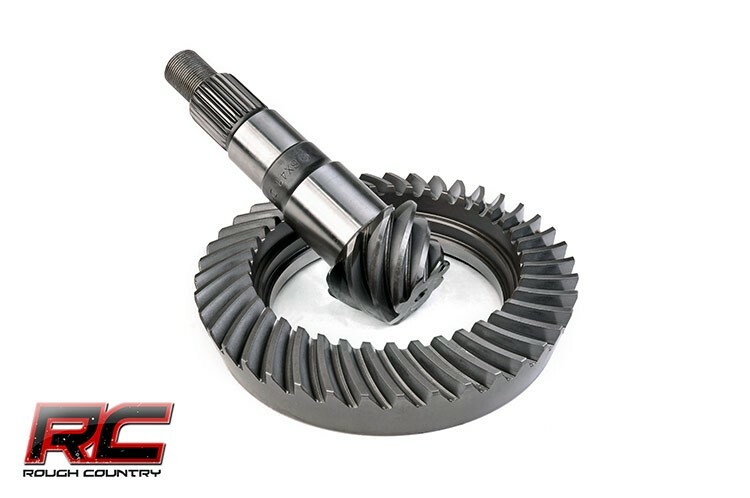 Increase your lifted Jeep's performance and take your rock crawling experience to a whole, new level with Rough Country's Ring & Pinion Kits. Our durable aftermarket gear upgrade kits breathe new life into your lifted Jeep, especially when equipped with larger aftermarket tires. 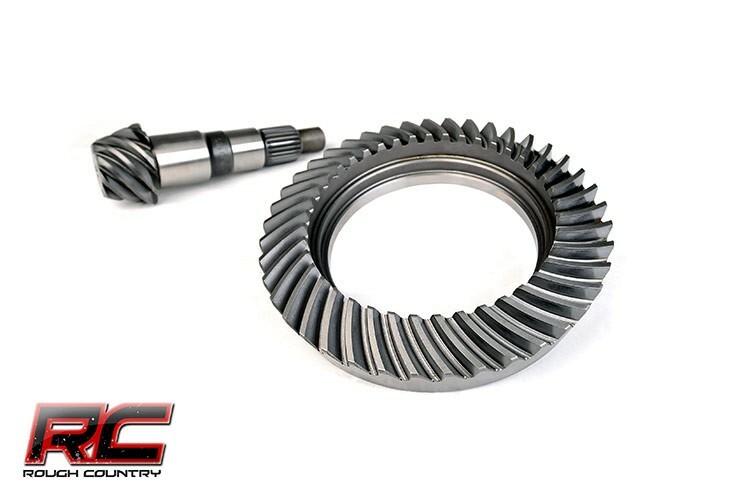 Ring and Pinion Gears help your vehicle take power supplied from the driveshaft and push it out to through the axle shafts to the wheels. 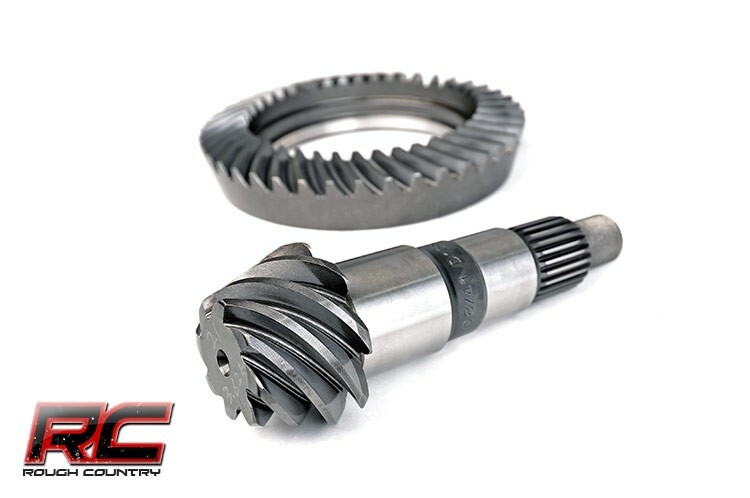 Once a lift and larger tires are installed, however, the factory gear ratio is off, resulting in a slower-turning driveshaft and engine. This weakened power state can rob your vehicle's performance and even your fuel economy. By upgrading to Rough Country gears, you'll gain the ability to tame your larger, aftermarket tires as if they were stock height, while increased power and torque affords you unparalleled power in off-road or rock crawling situations. Master install/bearing kit sold separately.